Made in the USA! of soy-based inks and recycled board. Recommended age - 8 and up. 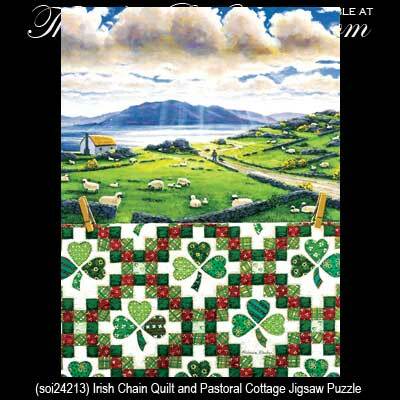 Irish Gifts - Irish Chain Shamrock Quilt and Pastoral Cottage Jigsaw Puzzle.